The retail landscape is undergoing a dramatic transformation as big-name retailers teeter on the verge of the bankruptcy and department stores struggle with significant decreases in foot traffic and sales. As they look to save the industry, retailers are facing all sorts of challenges in security, loss prevention, and business efficiency, among other difficulties. Combat shoplifting, internal theft, cashier fraud, and ensure a secure & safe shopping environment. Reduce OPEX , increase store operating efficiency, and enhance profits by grasping the direct relationship between foot traffic data and transaction data. 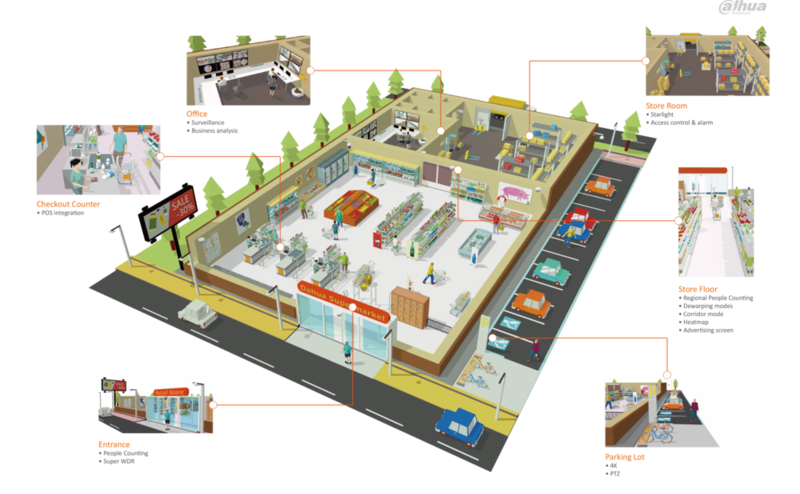 Browse all products used in the Dahua Smart Retail Solution here. If you are interested in purchasing Dahua products in South Africa contact us now for a quote! Additionally you can check out our store here and live chat with us here.